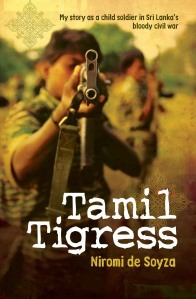 “Tamil Tigress” is a 320 page book released this year by the Australia –based publishing house, Allen& Unwin. The book has a picture of an armed female guerilla fighter on the cover along with the strap line “My story as a child soldier in Sri Lanka’s bloody civil war”. It is written by a former member of the Liberation Tigers of Tamil Eelam(LTTE)under the pseudonym Niromi de Soyza. The book has reportedly made quite a splash in Australia and New Zealand where it is available at book shops. The Australian Ministry for the Arts and the Australian Arts council have selected it for their 2011 “Get Reading! Campaign” as one of the 50 Books “You Can’t Put Down”! It is earmarked for a second edition soon and is likely to be distributed world-wide. While the book has been enjoying brisk sales the author herself has been the subject of interviews by Radio, TV, journals and newspapers. She has also addressed breakfast meetings, seminars and public discussions. Some see the author being gradually turned into a minor celebrity. Many reasons may be attributed for the book’s success, down under, at this point of time. Firstly there is wide interest over Sri Lanka within mainstream Australia right now. Earlier Australia’s predominant interest in Sri Lanka was whether our Murali was a chucker or not or whether Murali will overtake Shane Warne in wicket taking. But currently this interest has extended beyond Cricket. Large numbers of asylum seekers are arriving in ships seeking refuge. If the war is over in Sri Lanka then why are there refugees now? is a question puzzling many Aussies. Hence there is an urge to know more. This curiosity has further increased due to the release of a controversial book on Sri Lanka by another Australian Gordon Weiss who served in Sri Lanka during the war years as an UN official.Weiss has written about his experiences in a book named” The Cage:The Fight for Sri Lanka and the Last Days of the Tamil Tigers”. This book and the screening by Four Corners of a documentary”Sri Lanka:The Killing Fields” made by British Channel 4 TV has whetted the Aussie appetite for further information about Sri Lanka. In that respect the “Tamil Tigress” provides information and insight into a hitherto uncharted area. This is the first time that a former member of the LTTE has written a book in English based on his or her experience in the movement. This pioneering effort is of tremendous significance as it gives the reader a glimpse of the Sri Lankan past from a uniquely different perspective. The book also makes a fascinating read. It is written dramatically and incisively from a first person’s point of view and grips the readers attention from the first chapter. The narrative is tight and the narration racy. It is primarily written for a “non-South Asian” audience and transports the reader to another place and another time. It is indeed “unputdownable”. “Tamil tigress” is also a tale of negated idealism and lost innocence. It is about a girl in her teens who joins the LTTE willingly in a spirit of romantic idealism and then gets disillusioned as realization dawns through experiencing bitter reality. The book is also a personal story of redemption and renaissance as the protagonist quits the movement, reunites with her family, seeks safety abroad and relocates finally to Australia. She forges a new life for herself in her land of adoption where she gains post-graduate qualifications and becomes a lecturer. She also marries and is the mother of two daughters. It is a classic immigrant success story that makes countries such as Australia proud. In this case the “new immigrant”is one who has turned around her child soldier past and is now courageous enough to write about it openly and lucidly. This is a welcome feature. The author’s sophisticated appearance and suave articulation enhances this appeal. These are the reasons then for the book’s impact and success. This success and fame have evoked a negative reaction too. There is a school of thought within some Sri Lankans and those of Sri Lankan origin that the author bearing the nom –de –plume “Niromi de Soyza” is not whom she claims to be. This school of thought comprising Academics, researchers,writers and journalists evince doubts that the author had at any time been a “Tamil tigress” as she claims to be in her book. They point out some alleged mistakes, errors and discrepancies in her book and on that basis cast aspersions on her authenticity. “Fake tigress” and “counterfeit guerilla” are some of the expressions used to denigrate her. Then there are the “conspiracy” theorists. This is a breed that flourishes in Sri Lanka and elsewhere among those with a Lankan connection. The timing of the book release and some of the alleged errors in the book are perceived as being part of a deep-seated international conspiracy to undermine Sri Lanka. The “Tamil Tigress” author had an unpleasant experience in Melbourne a few months ago while signing copies of her book when some “patriots” mobbed her and called her a “fake tigress”. Some others have a different take on this. They allege that the book is a literary forgery with an ulterior motive. The see it as a ruse by sections of the LTTE and pro-LTTE Tamil Diaspora to garner funds for the tigers. In that process, unfair, unsubstantiated charges have been made against a respectable organization engaged in worthwhile activities to better the life of affected people in Sri Lanka. The only reason why these charges are being laid is due to the fact that the author of “Tamil tigress” has pledged publicly to donate part of the proceeds from sale of her book to the work of this organization. The organization concerned has issued rebuttals to these charges. The “Tamil tigress” author however has not responded to the many accusations against her. This silence baffles many. This deliberate silence to me is quite understandable. There is indeed no reason that she should respond to these accusations. If one were to start responding to charges such as these there would be no end to it. Besides it would be demeaning for any self-respecting author to reply critics who doubt her very existential reality. Some of these critics are known to me personally and I do respect a few of them for their scholarship and merit but I would not blame the author if she suspects these critics or some of them to be part of an orchestrated campaign to denigrate her. Whatever their individual motivation, these critics like the assassins of Julius Caesar seem to have “drawn their knives separately and struck jointly”. Indeed the venom and intensity sustained by at least one of the critics makes one suspect a hidden agenda in this exercise. Moreover the charges themselves do not seem to be grounded on sound basis. Mistaking is not faking. Blunders and errors of minor detail are signs of sloppiness not fraudulence. The discrepancies and doubts pointed out do not in anyway affect the structure and content of her book. They are not basic or fundamental mistakes that drastically alter the scope and scale of what has been stated. It must also be remembered that a memoir like “Tamil Tigress” is not an auto-biography where meticulous attention needs to be paid to every point or fact mentioned. Accuracy is essential in a historical account. This is not so in a memoir. In this case the book seems to be of a mixed genre. It is in memoir format with characteristics of a realist novel. However there is no denying that if there is indeed a credible challenge regarding an author’s identity or authenticity then there is an obligation on the part of those challenged to clear their name. In this instance I do not think there is a credible challenge because the challengers are yet to present strong evidence in support of their charges. There is also another dimension. The author has said openly that the name Niromi de Soyza is a pseudonym. Her real name is something else. If she reveals her name and more personal details explicitly much of the criticism would lose vigour. She is however unwilling or unable to reveal her real name. This could be to maintain the privacy of the author and her loved ones. It could also be due to concern for the safety of family, relatives, friends etc. This may be the reason for her using different names for some of the characters and places in her book. Whether this device would help her in the long run is debatable but her intentions in this need to be respected. Undoubtedly this stance places the author at a disadvantage. While some of her critics try to goad her into divulging her identity and more details the author remains silent. This silence lends credence to the charges of “fake” and “counterfeit” in the eyes of the average reader. The author of “Tamil tigress” is as vulnerable as a wounded tigress surrounded by a hyena pack. It is against this backdrop that I want to write about this “Tamil tigress” author. My intention is not to write a review of her book or examine the charges of “fake,forgery or fabrication”leveled against her. I do not want to analyse and dissect the allegations and accusations concerning her book and argue for or against or even remain neutral. This is because I know with certainty that she is the genuine article and not counterfeit as alleged by her detractors. Her nom de guerre in the LTTE was Shenuka! When I know that she is truly a real person and has indeed experienced what she states in her book there is no need for me to delve into the criticism of her book.Incidently some of these charges are now translated into Tamil and is fuelling another controversy in the Tamil media. The famous French Film director Jean – Luc Godard who along with some like minded “auteurs”pioneered the new wave in French cinema made in 1967 a masterpiece “Two or Three Things I Know About Her” (2 ou 3 choses que je sais d’elle). As far as the author of “Tamil Tigress” is concerned there are not two or three , but many,many things that I know about her. Also I know people who know more things about her like family members, relatives, neighbours, classmates, schoolmates, colleagues and erstwhile comrades at arms. Moreover I am also familiar with the time in which the bulk of her narrative is set in.Also with many of the places, persons and events she describes so vividly in her book. I have been covering the so called “war” for decades and have frequently visited the north during those times. I lived in Jaffna for many months while working as Deputy –editor of “The Saturday Review” in 1986. I was also in Jaffna when the war erupted between the Indian Army and LTTE on October 10th 1987. I was arrested and detained at the 4th floor and later produced in courts due to my reporting on that outbreak of war. It is that context in which I want to focus on the author of “Tamil Tigress” in this column. I want to write her story so that people realize she is not fake or counterfeit as charged. I hope to set the record straight about her to the best of my knowledge. While writing what I know about her and about some events of the past I also hope to provide some background and context to an era when Tamil youths flocked to the militant movements to fight for the lofty goal of national liberation. Niromi de Soyza is a pseudonym or nom de plume adopted by the author of “Tamil tigress”. Niromi is the name of an old schoolfriend and a name she liked. De Soyza is for Richard de Zoysa, the well-known journalist, TV announcer,screen and stage actor who was abducted and killed by “state terrorists” in February 1990. Richard was immensely popular in Jaffna those days as a TV Personality. So his dastardly murder was a shock to the author .Selecting Richard’s name as her nom de plume was both a tribute to his memory and a manifestation of solidarity with media persons victimized by state terror. Richard’s name was a symbolic choice. This choice of pseudonym too is viewed with suspicion in some circles. Although de Soyza is Portugese in origin it is perceived as a Sinhala name in Sri Lanka. So, some see it as a diabolical ruse by a Tamil woman writing under a Sinhala name while others suspect a Sinhala woman of pretending to be an ex –Tamil tigress. So what then is her real name? Who is this person whose nom de guerre in a previous avatar as a militant was “Shenuka” and her nom de plume in her new avatar as author is “Niromi”?Much as I would like to reveal her full name publicly and dispel doubts about her identity, I do not want to do so at this juncture due to a constraining factor. Rightly or wrongly the author of “Tamil Tigress” has certain reasons for not divulging her real name. Even if one diagrees or agrees with her reasons one must respect her position on this. In my code of ethics exposing her name against her wishes is simply “not done”to use a phrase that is now going out of vogue in language and in conduct. Until and unless “Shenuka-Niromi” is ready and willing , her real name will not be disclosed by me. I do think that the disclosure of her full name would be inevitable at some point of time.That decision is entirely up to her. Let me be a tad facetious here and play a word game supplying a few clues. She has three names in all. Her first name is of North Indian origin but widely used by Tamils. ;the second is of Irish origin but widely used by the English, Scottish and Welsh people. The third or maiden name which is her father’s, is a Sanskritised Tamil name. I have coined a name that has the first letters of all three names – “Sharmila”. It is by this name that I intend referring to her in this article up to the time she teamed up with the tigers. In the meantime if anyone wants to guess her real name in full then please be my guest! 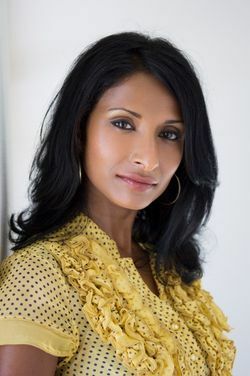 The “Tamil Tigress” author called “Sharmila” was born in Kandy in the Central Highlands some weeks before Neil Armstrong set foot on the moon in what was described by him as a “small step for a man” and “giant leap for mankind”. “Sharmila” was the eldest of two daughters. The second is younger by three years and is referred to in the book as “Shiranee”. Her father is an “Ilangaithamizhan”(Sri Lankan Tamil)of Jaffna while her mother is an “Inthiya vamsaavazhithamizhachchi”( Tamil woman of Indian descent)from the up country.The father is a Catholic and old student of St.Patricks College in Jaffna. Her mother was a Hindu who converted to Christianity after marriage. Incidently both her paternal and maternal grandfathers had been station masters in the Railway department. The father who is an engineer worked at the Electricity board for many years and was stationed in up country areas. It was then that he met and fell in love with “Sharmila”s mother who was then working in a Govt department.Later she took to teaching. The family moved from place to place living in different houses at different times.While they were living in Dunbar Road, Hatton “Sharmila” studied at St.Gabriels. After a while her father opted to seek lucrative employment abroad. He went to Dubai. The mother and sister then relocated to Jaffna. They left the 3rd cross street residence and moved to 4th cross street. Later they moved to a house in Rakka lane, Jaffna. “Sharmila” studied for some years at the Holy Family convent in Jaffna. Later she moved to Chundikuli Girls College, Jaffna. After passing her General Certificate of Education (GCE)Ordinary level examination with four distinctions and four credits she began following Bio-Science subjects (Botany, Zoology, Chemistry,Physics) for the GCE (Advaned Level) classes She did not complete her A-levels as she later joined the tigers. Jaffna then was in a state of semi-liberation. The armed forces were more or less confined to barracks and the Police had ceased functioning. The various militant groups were in “control”. The danger was from artillery shelling and aerial bombardment and strafing. On ground the different Tamil groups were ruling the roost. The LTTE was the dominant entity among these. The LTTE had a student organization then called SOLT(Student Organization of Liberation Tigers). The person in charge of it in Jaffna was Murali also called “Kaliviyankaadu Murali” because the SOLT head office was in Kalviyankaadu. 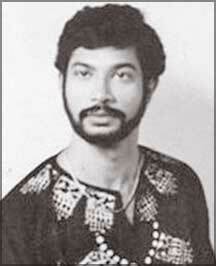 Murali whose real name was Veluppillai Ratnasingham was born in Aavarankaal on October 10th 1957. As head of the students organization Murali interacted with University, Technical College and College students. One day Murali himself came to Chundikuli Girls College and addressed Students. The school was regarded as an elite institution in Jaffna somewhat similar to Ladies and Bishops Colleges in Colombo. Getting “Chundikkulip pettaigal” (Chundikkuli girls)into the movement would have been a prized feather in Murali’s cap. Among the four were “Sharmila” and her classmate and best pal Ajanthi (real name). Both were inseparable friends having studied together at the Convent and then shifting to Chundikuli Girls College. Ajanthi’s family living on Swartz Lane,Jaffna was also Catholic. Hailing from Mullaitheevu district they had lived in Colombo for years before moving to Jaffna. Ajanthi’s father like her friend’s father was an old Patrician. If I may strike a personal note I too was living on Swartz lane around this time in 1986. I was then working at “The Saturday Review” housed at 4th cross street and living at my friend “Raga”s house on Swartz lane.When thinking of the atmosphere and mood that prevailed in Jaffna then, one can easily understand why youths and students attached themselves to the various Tamil militant organizations. In the case of “Sharmila” and her friend Ajanthi it was initially a feeling of romantic idealism and perhaps adventurism that impelled them to join the SOLT. After engaging with SOLT as student activists for a while they came under the sway of Rasiah Parthiban alias Thileepan who was then the chief LTTE Political commissar for Jaffna district. Sathasivampillai Krishnakumar alias Kittu was the LTTE military commander and overall chief for Jaffna. The woman’s division of the LTTE political wing was called the “Suthanthirapparavaigal” or “Birds of freedom”. This was because they published a monthly journal by that name. The woman’s division of the political wing was a brainchild of Thileepan who was also referred to jovially as “Amirthalingam” by fellow cadres. This was because there existed within the highly militaristic organization like LTTE, a contemptuous attitude towards democratic politics and politicians. Thileepan and the political wing were the butts of several intra-LTTE jokes as a result, Dubbing Thileepan as “Amirthalingam” was one such joke as Appapillai Amirthalingam , Tamil United Liberation Front (TULF) secretary-general and former opposition leader was the foremost Tamil politician of that time. After about a year of working as an activist in the Student and Women outfits both friends decided to join the LTTE formally and obtain military training. What influenced them in this was “Operation Liberation” launched by the Sri Lankan armed forces to regain control of areas in the Vadamaratchy region in Jaffna. Upon being accepted as military trainees both girls quit studies and went to a camp in Thenmaratchy region for arms training.They were given the option of choosing their nom de guerres. Ajanthi chose her mother’s name Nirmala while”Sharmila” chose Shenuka.Unfortunately most of her comrades mispronounced the name as “Saenuhaa”. Both girs in their teens were technically “child soldiers”.It was as a fresh recruit of the first batch of “tigresses”to receive military training in Jaffna that Shenuka got an opportunity of meeting ,one to one, the LTTE supremo Veluppillai Prabhakaran. Nice work. The point about mistakes not being a sign of deception needs to be drilled much deeper in the Tamil community. It’s quite an annoying tendency we have. I do disagree about her need to respond, however. Unfortunately, more people will read reviews of the book than the book itself and the flurry of responses the book has produced require(d) a response. But, I was left scratching my head about the “nature” of the response she should write. With your article, it is probably no longer necessary. hmm very interesting. I know of this lady very well too DBSJ. I was also in Jaffna during that period. Cannot wait for the rest of the story! It is good when one knows the truth and then compares that to a jurnos version. For a mere mortal like me it’s once in a life time experience. DBSJ, you should name these scholars. These fellows make a living out of surfing on other people’s success, by knocking them down. thank you jey yet again for a great story.when you write on some topic i feel educated i can understand how much efforts you have put to get this story.great work and keep it up. Her intention seems to explaing the root cause of the Tamil refuges to outer world. Another child soldier become “chief minister” within Srilanka is ‘Pillayan’ . He might write his story in near future. However Tamils story for their rights,secure land and freedom of life is very long and have multi diomenstion. Absoloutely brilliant in giving us an insight to this lady Sharmila – Shenuka. Also the picture in the blog adds colour – may I say?… hmm. Cant wait to read the rest. irritating sometimes when you stop halfway – more like ‘ And the winner is….. ‘ and there goes a commercial. By the way ,I hope you have written to Santa and not being to much naughty this year. Do you know if this book is available in Canada? I dont have to “Explain an explanation “about nit-picking queries like this. At the end of the war and in the aftermath the author wrote a few columns in SMH and the Australian, they can still be read. The timing of the book release was probably done by her publisher. Her views became much more sought after during 2010. This is of a change in the immigration policy of the current Labor govt. Previously under the Liberals (John Howard) arrivals by boat were which is the bulk of illegal immigrants or refugees, were processed offshore in a small island called Nauru instead of on the Australia where they received more rights. Under this policy the arrival of illegal immigrants via boats trickled to only very few in number, however Australia accepted their full quota of asylum seekers from UN camps, these refugees would be brought from Sudan predominantly and many other countries. After Labor won govt in 2007, the offshore processing policy was canceled. As a result the arrival by boat of illegal immigrants rapidly increased. In this space the policy was one of the key issues that divided the parties in the 2010 election. Many of the arrivals were Sri Lankan Tamils, an ethnic group that had until this time not been arriving in large numbers as illegal immigrants/asylum seekers. In such circumstances Ms. de Soyza’s views as an ex combatant were sought after, particularly in the left leaning media to justify that the Sri Lankan Tamils that were arriving were genuine refugees as opposed to illegal immigrants that were motivated to come to Australia not to seek asylum but for economic reasons. Being articulate and having written a novel she got much more space than the usual old time pro-ltte and anti-ltte tamil figures who are neither as articulate orally nor as photogenic. Australia of course has a large intake of skilled immigrants as well as business immigrants. Many of whom come from Sri Lanka each year, both Tamil and Sinhala. – Racism towards those not from a white background. Muslims suffer from this more than any other group for obvious reasons. The skilled immigration program however which is the vast number of immigrants does not face that much opposition as it is seen as a economic advantage for Australia. Thanks DBSJ for the information about the Author. It clears up a lot of the grey area surrounding her claims. I have to say though that at times she can be a bit ingenuous, for example she states a lot of the abuses done by soldiers that she was fighting against in certain interviews. Fails to mention if they were IPKF or Sri Lankan govt soldiers however. She says she is from a mixed race family.Is she sinhalese too?This is typical of what would have happenned for 2000 yeras on this island,with the same people branching out as tamils while others retain their sinhalese identity. As for mixed race are we not all mixed races if we trace our lineage far back? Can’t understand why she had to use a Sinhala Name??????? – I thought she was of the second batch and not the first ? I have said “first batch of tigresses to be trained in Jaffna.The first batch was trained in India.This batch was the first batch to be trained in Jaffna which is what I have written. Congratulations Niromi or should I say Sharmila. Thanks for writing about this book and I am tempted to buy and read this book along with the book by Nedumanaran on Prabhakaran . These 2 books are on my list of “books to read in 2012” . Eagerly waiting for your next piece about this book as you have left this article at a very interesting point . Great write up. Good to set the record straight. People like Michael Roberts and Muthukrishna Sarvananthan, who made vicious attack on the author of the book, stand exposed. This was hardly the first time for them. Both took up cudgels for the GoSL during the war and made unwarranted and ludicrous attacks on NGOs that estimated a high number of civilians trapped in the Vanni. They also maligned upright members of the Tamil Diaspora who sought to do something for the IDPs back home. My wife who is a Singaporean Chinese read this book. She was never interested in what was happening in North & East. After reading this book, she commented “Now I know why you guys lost the struggle”. This booked achieved it purpose. It was very well written, no doubt there are some errors/factually incorrect statements. On the whole, it was an excellent work by Niromi. can you ask her to write the book in Tamil or can you translate it? Both, GoSL and IPKF, were abusing one way or the other (if not always!). Thus she didnt mention it I guess! Yeah they are all human beings! Only their actions during war was barbaric! DBSJ Brilliant response Kalu. Probably he would not understand this too! To be attending the prestigious Chundikuli Girls School and then getting recruited to LTTE is certainly a feather in the cap of the fellow who recruited her but again school children has very little insight at that stage. I am also not sure whether Chundikuli girls school would ever allow a LTTE recruiter to come and do such business. What I have heard is, when she joined LTTE, the LTTE hierarchy did not expect her to hang on for very long. She was deemed to be coming from a privileged back ground. However, her story is looked at with scepticism by some Tamils who say there are many half truths and lot of spin. They also say it has been very difficult to independently verify her version of events because many of the key players in the story have died, others have vanished and some are only known by pseudo names. I can remember a guy who used to always say, he fought with Montgomery’s 8th Army in North Africa and used to tell his heroic tales at the pub until one day one of his friends came up and said he was only a cook in the unit!! Who are these “Tamils” machang who are in a position to “verify” if given more info?And how do they know some are “half-truths and spins” if they are unable to verify? Looks like some “tamils” are giving you “half lies and spins” machang if what you are telling is the truth? Also about your “anecdote” about Monty’s cook? Can you tell me how to “verify” that? There is no ‘excuse’ for anyone to keep writing in the guise of ‘scholarly’ work, undermining the situations of the plight of Tamil asylum seekers. While the nations have to implement their immigration laws, Asylum seekers continue to confront several factors, national politics at home and abroad in the adopted countries as well as geo politics. Many of them, why even almost all Tamils lead a peaceful quiet life, contributing to the new home in adopted countries they love in. Sri Lanka scorched earth tactics and continual of earning a livelihood and deliberate uprooting of people from their habitats and traditional jobs are Sri Lankan plans. Let these scholars for their marathon research on ‘terrorism’ not paint a picture that the plight Tamil refugees is untrue. Thanks for Niromi De Soyza for the book and DBSJ for clarifying matters. Niromi de Soyza dosn’t understand why LTTE start fighting, this story waste of time and showing not clear understand suffering tamil in North and East by Singalese people and government. Racist toward tamil. Should ne banned. Is it true that Richard’s mother and Shenuka’s father are brother and sister? This is another master piece of your great work. Many Diasporas forget MURALI. He is the man organize the CARNIVAL Show in St Patricks College (1986 August) He is well talented person, but very sad he killed with Indian army battle in Uralu. Big thanks to Niromi…… Good luck. I saw attacks on Niromi de Soysa by many people in grounviews and felt sorry for her. I was waiting to see who will come and defend her. I hope one of these days you will have the time to write something about the book by Shehan Karunathilake, Chinaman- The legend of Pradeep Mathews. This is one of the best English books to have come from Sri Lanka without a doubt. Absolutely brilliant, he explores Sri Lankan society, ethnic relations and a host of other things about Sri Lanka through cricket. Has been getting rave reviews all over the world. Excellent write-up DBS, will wait for the next. Probably Sharmila was able to foresee what was in the pipeline for LTTE, and understand what LTTE was up to. A quick leaner, Sharmila was able to pull the pin quickly and cleverly that saved her live. Maybe the 1 to 1 meeting was the trigger. There were several joined LTTE like her, for various reasons, including romantic ideology but weren’t able to severe the tie with LTTE. Really happy for her to do what she does now. Whenever you write it is brilliant inside story. First my point is if the author wants to use the book money to uplift Sri Lankan poor and neglected Northern students, it is highly commendable. Lots of people earned lots of millions of dollars using and in the name of Northern people, even some went to west and Australia America Canada using and in the name of those poor neglected people. What things they are doing to them collectively mainly. Where are those dollars? But they still use Northern poor people use them and they like those poor stay poor, as long as those poor children suffer they are happy because they can use those poor people for their advantage and earn more money. I do not think anyone who is well settled in western countries would send their children to educate in Northern Area schools. DBS, You are a marvellous man and a super detective too. De Zoyza is a Portuguese name and Niromi is a North Inidian Name. Just as same as your name. Kalu is a North Indian word (Bengalease also use the same word with same meaning)taken by Sinhala language and should I say more about Albert? By the way what is your heritage Kalu? Is EPDP anyway better than LTTE? lol.. There is a reference in the article to ‘a wounded tigress surrounded by a hyena pack’. To the best of my knowledge and belief, these animals do not occur in the same geographical regions. However, there are plenty of instances where two legged tigresses have been savaged by two legged hyenas. Obviously the figurative expression refers to “tigress” and “hyenas” in human form. LTTE has has already destroyed Tamils. Devananda and co are doing it now. name given by DBS. and you say she has two or three other names. Why all these names?whats her name DBS? Why bother about “names” Giri? Isn’t a “rose by any name as sweet? A rose is a rose by any name. So is the author. Great piece, Jeyaraj. Impatient to read the book now. Niromi wrote about an incident in Neervelly. While fleeing from IPKF, group LTTE members reached Neervelly and waited in front of a temple. Upon hearing that LTTE members are in the vicinity of the temple area people gathered and pleaded LTTE to leave the place. An elderly man pleaded with LTTE. “You have destroyed everything; you will ruin everything that was left. Finally when you go down, you will take us with you”. How accurate this elderly man predicated what would be our fate if LTTE continues with its actions unchecked. This elderly man was much wiser than our self proclaimed “Sun God/National leader”. MR’s regime goes about complacently with the feeling “victory” over the Tigers in May 2009 the Tamil “problem” is solved for good. Many Sinhalese believe this too and voted him thereafter and will do so again. It is this complaceny, I suspect, that makes them move lukewarm in the matter of developing the Tamil areas to the level of most of the South. But the fact is the LTTE was a marginal minority faction whereas the vast majority of Tamils – more in the NEP – only yearned for peace, security, a quiet life via the development of their areas. One of the handicaps of the Tamil side is the quslings holding positions in the Govt telling the latter everything is hunkydory with the Tamils. The other regrettable drawback are those Tamils – opposed to the emerging political togetherness and unity – singing the praises of the regime while hiding the present excesses of both the army and the regime. Their swang song is pricking holes on the TNA and trying to gain popularity among the Sinhalese thus. The Govt has set a few of them to create confusion and disunity within Lankan Tamils and the diaspora. I believe the Tamil people are far too politically mature to fall for this naivette. The alleged Anuradhapura sadistic attacks on over 60 political prisoners on Nov 27 and the capture, near-torture and release of the Jaffna University student on the same day and the abduction of Tamil money-lender Christopher at Jampettah Lane in Colombo Central a few days again by men in Police uniform coming in a van – are all indications that give the lie to the Govt’s contested claim “normalcy has returned in the Tamil areas and among all Tamils” The regime should be aware this delay in their continuing to fool the Tamil people and the perfidy of their talks with the TNA now with the clause it is subject to the TNA being part of the PSC – have re-created a further impetus in the powerful diaspora. The current round of talks is, after all, a continuation of many such feeble efforts in that manouvre of delaying tactics by the regime to gain time and nothing more. The regime is not unaware iIn one venue alone in the Toronto/Canada area over a lakh braved the rain for an entire Sunday (Nov 27) to send a message across to the Rajapakse Govt they should move more objectively to bring back normalcy, investments and development to the Tamil areas. Events held on the same day in nearly 30 other cities all over the world indicate the diaspora Tamils have hardly forgotten their kith and kin within the Island. They are not for Eelam or against the Sinhalese or the Govt. They only want the Govt to honour its words with deeds. They are not enamoured with the few projects here and there in the Tamil areas – most given to Contractors and friends in the South ignoring the local know-how waiting for jobs and opportunities. 3 years is long enough for that. Worse news for the Govt should be the re-emerging interest in the Lankan Tamil issue in Tamil Nadu. Mahaveerar Day being celebrated widely in the State – despite many restrictions by the TN Govt – is clear proof Tamils in TN have much more than VP/LTTE in their minds. These protests and demos there are to ask GoSL to be more serious in their priorities in settling the Tamil issue. Interest in this book will only bring to center stage and further internationalise the Lankan Tamil issue. It is left to the Rajapakse regime to help itself, the Tamils and the Govt by moving more resolutely and courageously in solving the National Question once and for all. You should read it. Once you start on it, you simply can not put it down. I have given it to many of my “Canadian” friends and they are astounded that something like that came from Sri Lanka. I think I have read this article; it was reproducing in some website. Correct me if I am wrong is there a incident. These two girls wanted to leave and VP has arranged them to go free. What a beautiful girl. She is not hiding her face. I don’t know why she hiding her name only. We read DBS Jeyaraj , by his name he is popular but never know how he look like. If she genuine she should donate some to the ex-Tigress returning normal life after the civil war and voice for their issues facing in the society and the hand of the Srilankan army as being Tamil Girls, like ‘Koneswari’ ‘Krishanthi’ and ‘Isaipiriya’. Very happy to read your article and know the truth. It is unfortunate that the PhD holders like Dr.Muthukrishna Sarvananthan write against follow moderate tamils without substantial evidence. Earlier he wrotes against M.I.A. about the figures of the trapped people inside the war zone. Later Sri Lankan government itself confirmed that M.I.A s figures were not wrong. If a person come to a good position after hard work will not easily accuse others. I hope that atleast after reading your neutral writing, the people like Dr.Muthukrishna Sarvananthan will stop accusing others unnecessarily. I think I have made it clear that this is not written against any one.It is not a reply to any article. It is only about the author of “Tamil tigress” who is a very real person and neither a “fake”nor “counterfeit”. I am writing what I know about her.The truth.I stand by the truth. Do you know her and family well? Just curious DBS nothing else. Thank you Gloria for being a reader from those days. You are also very perceptive. Is this a typical jeyraj whitewash? IT looks like, a must to read book only. There are many inside stories of movements participated in this freedom struggle. There are many unfolds secrets about PLOTE,TELO and EPRLF. All these must be written as books for the future Tamil generations to refer. I have not read the book “Tamil Tigress”, Just read your article, You are very closer to me as I am johnians studied St.John’s college but the period you are describing here was my primary schooling. I’ve called to my eleder brother who was in the O/L at the period he confirm the events that you are describing here. My eleder brother said he does not aware that any one joint to Tigers in 1986 from Chundukkuli girl’s College ( My brother from J/Hindu college). Anyway he said he will read the book to identify the people in the book (As you know that most of the active LTTE leaders in the period was Jaffna Hindu college) I will also read the book once I get the copy.Cheers! I have written most of the details about Devananda and EPDP, We have even seen the fact from wikileaks, So what else you need brother! Why is EPDP and Govt. still making people flee from North-East? What is the need for Grease devils? and why Prof Hoole and recently even Asst. Editor of Uthayan Kuganathan, earlier assaulted in Jaffna has fled the country? Are Richard De Soyza and Pakiasothy Sarvanamuththu relatives? glad to see you defending “Niromi de Soyza”publicly against critics. As usual fighting for those in trouble. Way to go David! Was it b’cause the previous experience with Rajani Thiranagama by VP?? DBS Jeyaraj in Canada writing so positively about Niromi de Soyza in Australia?wow! I guess you’ll anger all her critics by your detailed article proving she is genuine DBSJ.But angering others by writing truth is nothing new to you eh? She’s really lucky to have you writing like this about her David. Your face may not launch a 1000 ships, but your writing launches a thousand comments. You should be proud of yourself. Makes sense. I agree with most of what you have to say about her and the book. She may have exaggerated some things a bit, but to call her otherwise is ridiculous. I have heard nasty attacks on her from both the Tamil and Sinhalese side(the hardliners) but the reality is that she brings to life the story of women in LTTE, very little talked and heard. Great article, as always. I will be interested to see you write about Gnasekararan and his boys in India now and the future/role of EPRLF towards the future. Kalu mathiya’s brain is fortified by ……… Nothing sensible permeates. Roy, Sri Lankan (Jaffna) Tamils rarely marry Upcountry Tamils. They are brainwashed by the caste system. For Tamils in Jaffna, Tamils of Indian origin are space aliens. Sinhalese will marry anyone of them. Surprised? Do you remember Helen Demidenko’s (aka Darville) “Hand that signed the paper”? Tweny years ago it won some awards. Have you read “Anna and the King of Siam” by Margaret Landon? Add Ms.De Zoysa’s book to that list. Number of Tamil young women have some forward with great yarns in last two years. For me this proved only one point. There are lot of pretty women in Jaffna. All these women who came forward were exceedingly attractive. We are witnessing another well planned attack to discredit Sri Lanka. Leo Fernando, I hear you were in the group of patriots who mobbed Niromi while signing books in Melbourne.Is this true? Without even knowing the personal details of the author, it was obvious that the book was written by a person who has had intimate knowledge of what happened on the ground, at that time. If there is any criticism to be made of the book, it is because that some people think that the author is light on LTTE’s or her own personal responsibility in the violent incidents which occurred. It may be so; but the author’s tale obviously was coloured by her own experiences and views. But, what this book and the author’s personal journey clearly demonstrates is that most people caught up in this conflict, if provided a fair opportunity by the Governments of Sri Lanka, would have risen to great heights, helping the country to progress. As a Sinhalese, I feel that her flight from Sri Lanka, like that of many others in the Tamil Diaspora was Sri Lanka’s loss. It is a pity that the majority in Sri Lanka still fails to see the many advantages of fair, merit based systems adopted by the western societies. Obviously, the ruling politicians are against such systems, as they would expose the widespread corruption! The book has a picture of an armed female guerilla fighter on the cover along with the strap line “My story as a child soldier in Sri Lanka’s bloody civil war”. UNICEF and the World Bank. messengers, and anyone accompanying such groups, other than family members. treaty prohibits all recruitment – voluntary and compulsory – under age 18. One thing I have to say is that she looks hot. Makes me think I should have been a Tamil. I read the book and liked it. Now I read DBS article and loved that too. I could not agree you more. It is a pity that many good people do not see this way, going on with “yes, prime minister” until it come to a stage where irreversible damage has been done to the country. To me, the opportunity dawn after the civil war to unite all and move forward has been missed and could see the frustration from people, particularly from the main stream. To quell this, the option GoSL has is, to go inflame racial tensions, resulting unnecessary arrest and killing making SL Tamils extinct from SL. Meka super article ekak ne aney? I just read and read three times Jeyaraj. Aiyo Jeyaraj ,how do you get all these details aney? tell will you? Aiyo Nelum, Cant tell these things no aney? you know no?Anyway article still not ivarai. Wait will you please. Negative Mr.Jayaraj, I was not there. Yes, I also read part of her story (Tamil version) last year or so may be @ yarl. Happy to hear that she was able to escape from her own deadly mistake and now she is doing good. She might have lived in Jaffna only in her late teens and early twenties so it’s not a big deal for not to know all the places in Jaffna inside out. There is no free meal in LTTE. especially after Premadasa ‘handed over’ Jaffna back to them. From some of the comments and the video clip, it appears that Senuka left the movement and the country twenty years back after the death of her best friend Nirmala, but lied low and refrained from criticizing it according to their release conditions. The book itself is another prove that LTTE and their leader is no more. Looks like she was in the movement only for about 5 or 6 years but must have gained load of experience to write a 320 page book. She must be very bright to gauge the situation within that short period and that can be evidenced by the fact that she got two degrees afterwards. We can only feel sorry for the thousands of other bright youngsters who could not escape. I salute you for selecting a Sinhala name as your nom de guerre Niromi de Soyza. Even though you fought for the LTTE I am broadminded enough to forgive you and extend my compassion as a proud Sinhalese. Shoba sakthi has written novels and short stories in Tamil based on his experience in the LTTE. But DBS is right. This is first time former LTTE cadre has written in English. Creeditable! Yur article is so interesting I want to read the book DBS. I heard her speaking. She said she is passionate about the cause, but is a bit disappointed about a certain group of people trying to ‘own’ it. I saw her partner (husband? ), sister and mother as well. Please consider commenting specifically on the issues raised by Arun Ambalavanar and Michael Robert. Persoally, I could see the nit-picking of AA with Lantana and Fig trees, and questions like the months of palmyrah season, and TELO-PLOTE attack of the LTTE. MR’s ‘academic’ sounding writing concludes along,’Though I have not reached a definitive verdict on the issue of fabrication, my leanings are strongly in that direction’. Then, the Economics Expert Muttukrishna Sarvananthan wrote a piece, which he called a ‘research note’, with hardly any substance, other than dragging SJC87, an initiative by the St Johns College Old Boys. There are too many agendas and the fatc is lying somewhere in the bottom. Your decision to shed sme light is very much appreciated. How does DBS know so much about Niromi de Soyza?are both related? OJ Simpson murdered the wife and was aquitted. Then wrote a book how to do a perfect murder. His wife’s parents incensed sued him and won the case and sent him bankrupt. Brilliant analysis DBS. Thanks for clearing the doubts raised by some critics. Dr.Muthukrishna Sarvananthan,Still lives in Mahinda’s Srilanka and works in an area under Douglas’s watch what els he is allowed to write??? Dbsj you may add sara is among us and living in Mahind’s Srilanka. Balappu, Thank you for your fair minded comment but whar=t action you have taken towards rectfying this siuation? I tried to find this on the web but unable to do so. As I recall this was not about Rajini Thiranagama and her sister. As you have mention In this article after her O/L she has manage to hear about the LTTE movement and she manage to meet Prabakaran, at first he has said to her that it could be hard to a girl similar to her upbringing, actually she manage to go with another girl of hear age and her society. Later both of them manage to get higher ranks after some time she had got weary about the struggle then wanted to leave, at that time Prabakaran has allowed her to leave. Other girl has managed to because a high ranking person in LTTE, at the time of the war with the SL government she had been killed. This is what I remember but can’t find the link. Please be careful about posting carelessly.Your memory may be playing tricks on you.Refresh your memory,find the link and then post. By the way this article is continuing……. DBS,Why don’t you write a LTTE memoir like Niromi de Soyza? We can also see how some well-known male chauvinist “academics and researchers” are pouncing on Niromi and belittling her as a fraud. WE express solidarity with our sister. Don’t you give in to these bullies! And thank you Mr.Jeyaraj for supporting her.We love ya! And you are? Have you ever wondered why Tamils are so screwed? Isn’t this something you should be proud of as an CGC old girl? Balappu, please continue teaching. Never mind the inordinate demand of bell po3. Good teachers like you are rare these days. It takes a good teacher to manage bad students. Interesting…… how about children sent to religious schools (to become monks)? Shenuka to Niromi…… Subamai Vaala Vaalththukkal. I thought this story came out in 2009 (see article below). Going by the fate of the female cadres of the latter days, she is one of the fortunate ones. This article about the book Tamil Tigress is undoubtedly real vintage DBS stuff. “Niromi” claims her mother founded the Mothers Front in 1988 during the occupation of IPKF (p. 299). You know as well as I do, who founded the Mothers Front in 1984 when Sri Lankan army made mass arrests of young men in VVT and Karaveddy areas. This factual error cannot be classified as “blunders and errors of minor details”. Author cannot be forgiven for making such false claims. Exaggerating her own experiences or making false claims about her experiences is one thing. Cooking up stories claiming that her mother founded Mothers Front in 1988 is not a responsible act by an author of a book. When such false statements are made one begins to doubt many incidents in the book. The late Gamini Navaratne who edited “Saturday Review” at one time related an interesting anecdote to Ajith Samaranayake and myself about how he (Gamini) was responsible for getting the Mothers Front started. Gamini said that despite many attempts the Mothers were not getting their act together and squabbling with each other. So Gamini said he wrote a news item that a procession –demonstration by the Mothers carrying broomsticks will take place on a particular date. Thereafter the Mothers had no choice other than to stage the demo (without broomsticks) and this was the Mothers front baptism of fire. It was so interesting Ajith wrote about it.If I find it I think I will post it. I have red about her some time back while searching for details about Rajiv gandhi’s assassination. http://www.telegraph.co.uk/news/worldnews/asia/srilanka/5283438/Life-as-a-female-Tamil-Tiger-guerilla-relived-by-one-of-first-female-soldiers.html.She is one of the first female soldiers of LTTE. This Nelum seems to bring the best out of DJ. Yes we can see this was some 2 years back. As a sinhalese I was browsing the web to get an insight about the other side of the story. I think I saw this in a blog anyway as you say it could be my mind since I read some considerable amount of information there could be many similar stories. Since the LTTE Supermo TVP also was a child soldier when he was the movement of late 70s. Most of the brilliant students from Chundikulli Girl’s college is not a authentic product as per your definition, as my wife also from Chudukulli but she was from Convent as well. Period was in 1950s. All Fernandos, De Silvas. Rodregos,Medes etc should get together and demand a separate deal when the APC goes into business. Well done Mr Jeyaraj, great article! Although I see what Rohan is saying, is there any point wasting your time on these nit-pickers’ childish ‘research’ and ‘reviews’ Mr Jeyaraj? Their bad pieces speak for themselves and intelligent people can see through them easily. I have read Niromi’s amazing memoir. I wonder how many of us can recall everything that happened to us in our teenage years with 100% accuracy, especially one that is as traumatic as Niromi’s, while making the reader feel as if they are there with them by describing the sights, smells and sounds? I hope Niromi’s story encourages many to come forward and tell their story too. It can help us heal. Although he is money lender, he is not a tamil but a SINHALEES. Any way Jumpatta lane should be propely clean up because there were more incedences occured in this place. As an example The bomb lorry which attacked to central bank parked here. It is no concern wether they TAMIL OR SINHALEES TERORISTS ARE TEREROSTS. THEY SHOULD BE WIPE OUT. Well done DBS. It’s baffling to me that Sri Lankans should submit to having their time and intellectual energies wasted by tomfool academics and scurrilous journos. The ‘controversy’ over “Tamil Tigress” is simply a bad joke. However I must complain that “The Cage” is not about my experiences in Sri Lanka. To the contrary, I went to considerable effort to write a relatively dispassionate but readable treatment of Sri Lanka’s troubled times. You’ll be able to judge for yourself when the US/Canada edition is published in 2012. The Tamil-language version will be launched alongside Arandhati Roy’s new book in Tamil Nadu on 7 January. Thank you Gordon. Looking forward to reading your book when released here. What is meant by ” authentic” product of Chundikuli? after meeting Niromi in person , listen to the TV , watch her video clips and her profession tells tell her who is she? She is bold enough to come out and tell the true story … that is what authentic … means! How her mother searched for her daughter without loosing hope….! You must read the book Asela . Whole chapter is about…. it is a therapy for the parents who experienced the similar situation. Thx DBS…She came to Aus on a student visa and married a non sri lankan. A whole chapter dedicated to the reaction…. How Niromi’s mother did not loose hope…. You are right, from Niromi’s book and Jeyaraj’s article its very clear she went to 4 schools, St Gabriel’s, HFC, CGC and a Boarding School in India. She’s an authentic product of all these schools and that’s what makes her bold, different & broad-minded. Any school would be proud to claim her as their own. Not only was she willing to sacrifice her life for her people (and her friend did), she also then turned her life around and done something positive and is now giving back to the same people, in both documenting our history and giving part of the book’s proceeds. I wonder how many so-called ‘authentics’ can say that about themselves? I think maybe our govt at fault for pressing Tamils so badly that they took up fighting? I was struck by DBSJ’s phrase “Jaffna then was in a state of semi-liberation”. If that means life in an ethnically cleansed militarist society, give me chains any day. God rot all tigers. You are right, from Jeyaraj’s article its very clear she went to St Gabriel’s, HFC, CGC and a Boarding School in India. She’s an authentic product of all these schools and that’s what makes her bold, different & broad-minded. Any school would be proud to claim her. She’s turned her life around and done something positive with her life and also giving back to her community. I wonder how many can say that about themselves? I did not have a chance to read this book yet. I knew both these girls. her friend was killed during the Indian Army battle. I did not know this girl came to Australia. I was living in Nallur that time.They did not go training through Thileepan or Kittu. they went straight through VP’s group. that time Kittu did not like to recruit women for soldiers. but VP wanted to recruit them. there was a bit of conflict between VP and Kittu on this issue. Cannot wait for part 2!!! Better to hear different views about any popular topic. It is possible to project some ulterior motive to any activity. Even going through DBSJ’s site can be considered as an activity of rejuvenating Tamil nationalism or even Tamil militancy. It can also be viewed as an attempt to eradicate Tamil nationalism or a way to enhance Tamil traitorisation. There can’t be anything without criticism. Tamil Tigress reminds me the work done by Dr.Sarmila Bose (grand niece of Subash Chandra Bose). Bangaladesh war (or Indo Pak war of 1971) is perceived by many (at least most of the Indians) in a over simplified way. Bengalis are the protagonists and Punjabis are the antagonists and India helped the protagonists in their liberation war. Sarmila Bose in her works describes the other side of the Bangaladesh war. She claims that what was enacted by the Pakistani army in East pakistan is not a genocide. It is a military action to restore the law and order in the troubled areas of East Pakistan. Sarmila Bose also talks about the way in which Muslim Bengalis of East Pakistan (present Bangaladesh) massacred Hindu Bengalis and Hindu Biharis during the troubled period. She claims that Muslim or East Bengalis were extremely xenophobic in their approach towards other linguistic and religious groups. East Bengalis had a lot of hatred against the Hindu Bengalis of West Bengal and to some extend the muslims of Kolkatta also. Even western writers like Mark Tully expresses similar views regarding Indo-Pak war of 1971. Even I feel there is truth in Sarmila Bose’s view. An ordinary Bangaladeshi has alot of anti-Indian mentality rather than having a pro-Indian mentality inspite of the help rendered by India in winning his/her freedom. Let us welcome writers like Sarmila Bose, Sharmila (Niromi de Soyza) to know about different sides of sensitive and controversial issues. Excellent writing. So interesting. Eagerly waiting to see unfolding story of DBS Jeyaraj’s “Sharmila”. reknowned St Anthony’s Church (Kochchikade, Cbo 13) The people down the area are mostly Tamil Catholics. Those 300 + who demonstrated in the street calling for the abductee’s release were clearly Tamils. Whether Sinhalese or Tamil people being adbucted illegally – more so by State actors coming in unnumbered vehciles – must be condemned by all right thinking people – something with which you might agree. The temptation of abducting Tamil businessmen seems to be so lucrative now it has begun to affect Sinhalese money-lenders as well – as we read from last week’s Thorana Handiya incident at Kelaniya. sometimes becomes long dawn. For instance, a writer whose superbly constructed pieces are read with great interest here draws attention between Terrorism and Nationlism in these pages. Academics in the great learning institutions of the world are still arguing if Palestinian militants are terrorists or Nationalists. And so with Shining Path in Guatemala and the PKK in Turkey, Iraq and Syria. the 2005 electoral history of this land of yours and mine. Wow, not sure what about her that makes you to distance your school from her. Would you pls specify the minimum number of years to be spent before to get the “a real,authentic product” status mam. Tamil Nadu should consider a scheme of granting dual citizenship to Sri Lankan Tamils. TNA should be encouraged to initiate discussions with the Tamil Nadu government in this regard. Internationalization of the Tamil issue will be a good thing to the Sinhalese. It will offer the Sinhalese an opportunity to educate the international community on the demographic distribution of the TAmil speaking people within the small island and convince them that any separate ethnic enclave for Tamils should absorb all Tamil speaking people distributed throughout the island leaving the Sinhalese alone. Sinhalese may also request for protection from the threatening 60 million Tamils (as indicated in the above comment) just 20 miles across the island. A related subject area the IC should take up for study is how the Tamils during the last 200 years expanded into Africa, Malaysia, Fiji island, hill areas of Sri LAnka, Canada and other western counties and the various techniques they adopted in the process including the 30 year most ruthless terrorism the world has ever seen. Any fool in the IC will instantly realize that some mad Jaffna Tamils (supported by a few kallatonis living in Colombo) are asking for the moon. Philip Fernando – While what you said of marriages between Lankan Tamils and those of recent Indian origin is generally right, the equation has begun to change from the mid-1980s. While the incidents of such alliances at the general level is on the increase, of the more prominent ones I can remember is the marriage of the daughter of former Minister M. Tiruchelvam QC (Neelan’s father) to a Madras Tamil working here at an Indian Bank. A daughter of the late Park Nadesan married into a Vaniga Chettiar family in Colombo 7 – an educated giant in the business world. In recent years the daughter of a prominent senior TNA leader married also into a Madras family (Malayalee? )There are many such happy society marriages. The change I believe, is largely because of the change in the image of the “Indian Tamils” in the Island. While till about the 1970s they were identified only with the working class in the Estates since then a new class in the community has emerged. They are now in the frontline of Business, Commerce and Industry; the Professions (Varsity Dons, Lecturers, Doctors, Engineers, Accountants, Senior Managers, Architects etc) Many are coming into the political leadership – whereas it was only the late Mr Thondaman at one stage. The other contributory factor was the giant strides in education and industry industryIndia has achieved post-1980. The close affinity between the Tamils on both sides of the Straits since the post 1980 period will only increase the numbers. Seeman – the well known TN political and actor is looking forward to or in the process of marrying a Lankan lass is widely spoken of. If you join an army volantaraly or involantraly weather you are a women ,man, gay ,sinhala,Tamil,libaration army or government army you have to obay the orders of the commanders. being a student at Holy family Covent does not make that she was not student at CGC, She studied at your school as many others did. She was genuinely old girl of CGS. Please don’t bring your status centered mind to public forum, keep it within your alter ego. Correction – Shining Path in Peru. Do you really beleive tamils of ealam and sinhala moronic srilanka can live together???? Good to hear that our Indian Tamils are reaching par with Jaffna Tamils especially in the most important area of marriage.. I like to hear whether any of these high society marriagesso far has involved any of our Estate brethren?. With the current boom ,surely the asset rich and moneyed Tamil people regardless of their origin will be on top soon. Hopefully the poor, especially the Tamil people from the Estates and Batticolao will also reap some benefits so that they can educate their offsprings to become doctors ,engineers, accountants and the new area of Business executives that the current Economic boom is craeting. These young generations then,will surely help break the High and Low class barriers in a prosperous Srilanka. If the current trends continue it won’t be that far away. By the way is Mr Seeman , an Indian Tamil?. Soma, you are suffering from Mahavamsa mindset fever similar to mad cow disease.call an ambulance and get admitted to the nearst hospital before it is too late. J.Muthu says: December 12, 2011 at 6:23 pm Dear Gordan,Do you really beleive tamils of ealam and sinhala moronic srilanka can live together?? I hundred [ercent agree with you. Certainly SINHALEES are fool,otherwise they chased tamils away from the country as MYANMAR,AND UGANDA DID. Bodhi, I think you have just woken just keep your eyes and ears (should I say senses) open. They were overjoyed. Ancient tamil custom of giving their children for battle and blessing them on their way to death.You should have seen the film veera pandya kattabomman. Who can tell the difference? Kalu Albert Sir, Have no worry, the caste systems within Tamils (as they are with the sinhalese), shall soon be the past. DBSJ, to which Thinai does Sri Lanka belong? Is it Aaram Thinai? goda, I know the truth hurts. Take a painkiller for the moment. The Tamil people abroad and in Sri Lanka should be aware that the likes of Gordon Weiss are not genuinely shedding tears for the Tamils in Sri Lanka. No wonder the UN is such a waste of money that could not protect the innocent Tamil civilians in 2009. Historically that is not the case. Many people with low caste origins try to tell they belong to high caste once they get wealth. I see that in Canada! So the caste is not dead! In 1830 Vellaala population was only 4% in Jaffna but that became 90% in in the 60s. How? Once again, Very good article DBS. Thanks for that. During that period, I was studying at St.Johns and I have heard about “Ajanthi”. We also had lot of meetings from SOLT Murali. Defiantly it is true story and I love read her book. Not sure where I can buy? Another to say is that in our Tamil community, there are lot of people are willing to criticise anything. But unfortunately there are only very few people to appreciate. Well!, That’s what our community and that is the reason we are like this. Sinhalese did try it in 58,77 and 83,but it backfired didn’t it? the reason is unlike myanmar,the tamils in srilanka have been there for more than 2000 years.In myanmar they mostly went with the british to help them in the administration of burma like the tamils who came to srilanka to help the british with the tea plantations.600000of those were already repatriated by the sirima shastri pact.The remaining were kept because the tea estates were the main exports and these people were needed to work in them. Anyway the examples are myanmar and uganda with srilanka is stupid. See what has happenned to those countries and their standard of living.See what happenned to zimbabwe after chasing the white farmers out.When you do these things you should be careful not to throw the baby out with the bathwater.An exodus of hardworking people and their capital and brains will make everyone poorer. Is there any thamizh songs on her selection? I see plenty of Tamils with that name how ever. Straight out of VP’s history book. When Niromi and her friend wanted to join the LTTE (due to their misplaced, teenaged romanticism), Thileepan tried to dissuade them (and possibly test their commitment). When I look gloomily at all the bright lives extinguished all across Sri Lanka (across both linguistic groups) for the most trivial reasons over the past several decades, it is rare stories of people like Niromi (who realised the futility of war and escaped with their lives) that are like silver linings in the cloud. I pray that Thiru Murugan may bless all the people in Sri Lanka and in the Diaspora to forget the past, heal their wounds and come to their senses to live amicably ever after. Out of the mahawamsa,iam afraid,unless you want to dispute the great historical record and be labelled as a sinhalese traitor. It says that elara ruled the country for 44 years about 2300 years ago.He directly ruled north of the mahaweli while two sub kings ruled south of the mahaweli,of which one was kavantissa,the father of dutugemunu.You think he would have ruled this country for 44 years without bringing a substantial number of tamils,and also a tamil influx of settlements as is usually happens during a long rule.Even before him sena and guttilla,two tamil horse traders ruled the country for 22 years.Even velu sumana the great army commandr of dutugemunu,was given that name because his father vasaghamba had two close friends velu and sumana,velu being a tamil horse trader.The influence of tamils in ancient srilanka is indisputable through your own mahawamsa,not prbhaharans history books.Even vijaya and all his 700 followers brought tamil pandya brides,who would have also brought many more to serve them.That is the reason the pandyas always sent armies to help the sinhalese ward off the cholas even thousand years later. When it comes to the mahawamsa you guys start clapping when you read that dutu beat elara in battle,but try to deny its abundant evidence of tamil influence and inhabitation in ancient srilanka.In fact Dr.mervyn silva even now claims he is a descendent of dutu and rode a elephant in a film and fell off it and badly injured himself. He made the mistake of not choosing a descendent of kandula,the famous dutu’s elephant that was mainly instrumental in him beating elara in single combat. Mervyn went out of the country for awhile after that because astrolegers told him he was havinga bad period and has to cross the ocean. Many people with low caste origins try to tell they belong to high caste once they get wealth. I see that in Canada! So the caste is not dead! So what is wrong with that.Caste was a aryan concept based on work that you do.Only difference between then and now is the labour mobility.At that time if you were a farmers son,you have to continue to be a farmer.Now you can become a doctor.Same way if you were in a caste which you describe as low caste,for example weaving,now since you are not doing your ancestors job of weaving,then why call yourself a member of that caste?It is not like when you are born there is caste written on your forehead or something,it was merely a aryan system of job segregation,which cannot be continued with the advent of free markets and labour mobility.Like the dinosaur it is bound to become extinct. An example is a vellala caste guy could go to canada and open a fish market.Then he will be neither a vellala or a karayar,but a trader and now belong to that caste of traders,and has every right to say so if he wishes.Or if he becomes a money lender he can call himself of the chettiyar caste,or if he becomes a priest in a temple in canada,because they could not find brahmins,he can call himself a brahmin. Why no Tamil tigress article 2nd part aney?Very disappointed no ?I opened Daily Mirror early morning itself to read but no article no Jeyaraj?searched your blog and web also but nothing aney? Aiyo what happened tell will you? Aiyo nelum,jeyaraj is going so fast now,we can’t keep up with him aney.He is like the bear,hibernates for months and then goes like a express train. What is her next step.Should it be to follow the footsteps of rasika sitsebesan and become an MP in the australian parliament.For that she has to move to a suburb that has a lot of tamils.Ideally tamils should have 3 women members in the UK,canadian and australian parliaments for the long term viability os a)to show that tamils are now a international force to be reckoned with b)at least at the international level tamils have ditched gender bias and moved into the modern world. Since she is committed to helpd the children and orphans in the war affected Sri Lanka in her own money , and make a great difference than enjoying the poor tax payers money and enjoy the global trip in the name of the ambassador or parliamentarian. Leave those jobs for born politicians who dump the reserved money. We have a bunch of fellows there. I do not think she will run after the popularity at the expense of the tax payers money . She never did it in the past. TO BE CONTINUED: when? DBSJ, I’m impatient now to read the 2nd part. When I read the attacks on Niromi de Soyza in the Groundviews and read DBS Jeyaraj’s article I get the feeling that a systematic campaign is being done against the author and the book. I concur with your views whole heartedly PT. Niromi’s critics first said she was a fake and counterfeit who was never in the LTTE or was not even a Tamil. All the evidence they had was her mistakes in the book. But I lost all respect for Michael Roberts after this. thank u aney! Christmas bonanza da? yes, you can always buy book to satisfy your notions. You mean, you want to go back to your native/orginal place? I have no idea how accurate her book is or who she really is, but it strikes me as strange that she wants to protect her identity so she hides her name, but she is willing to have her face splashed everywhere. One of his books was translated into English, I think it was called Gorilla. It was excellent. Fishy, an author using a pen name is not a new concept is it? Niromi .. I see you as an individual who made choices in life , which you later realised werent the best choices but brave enough to admit that and move on…. Thanks for the article DBS.You have provided few missing pieces of jigzaw puzzle.Niromi’s book is great as she has discussed the issue very openly and honsetly. The root causes for the ethnic problem has been identified clearly in her early chapters and she has bravely criticized fascist dictatorial nature of the Tamil tigers.Her memoir has missed the tiger brutality of killing bus loads of innocent civilians and hacking of poor border villagers to death and the massacres of Aranthalawa and Anuradhapura which happened during the period when she was a Tamil tigress.Otherwise no criticism about her book which is a rare opportunity to grasp the ground realities of otherwise secretive Tamil tigers.I wish all the Sri Lankans could read this book.As a Sinhalese I admire her bravery.If army soldiers are asked to read this book they will feel that the tigers and them are the two sides of the same coin.We have lost many like Niromi from both sides and this meaningless war has robbed valuable lives which could have been very productive for the betterment of the country. DBS, thanks must find the book.